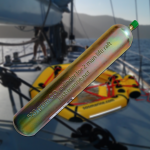 Should your dan buoy drogue get damaged in use, here is a spare, just like the one that ships with your SOS Marine self-inflating man overboard dan buoy. 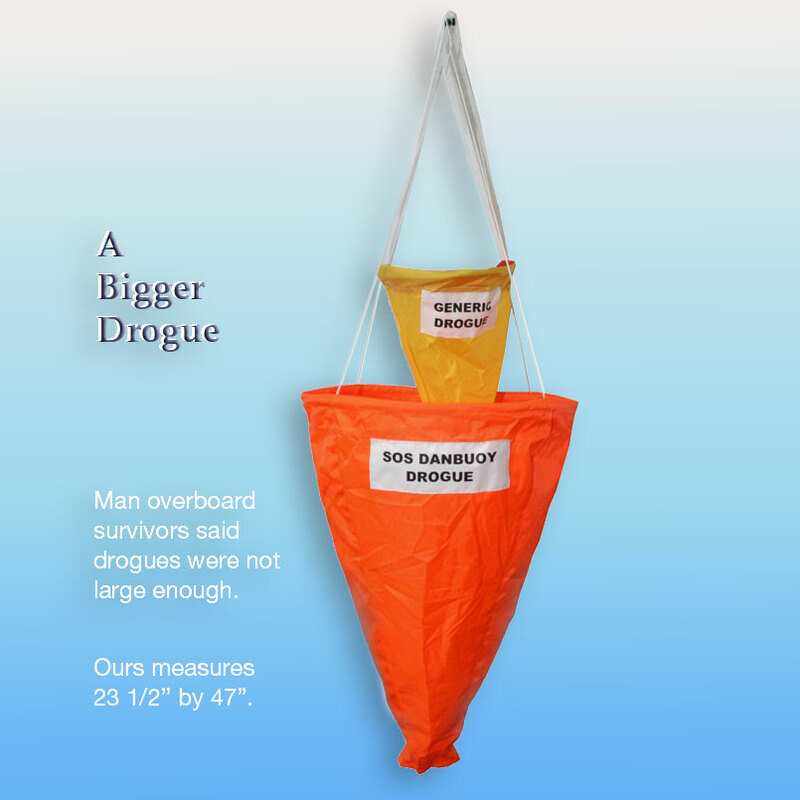 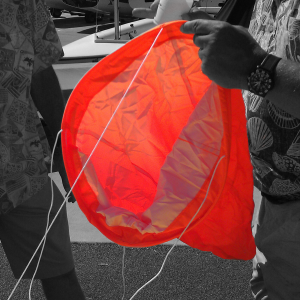 Made of nylon in dayglow orange/red, this drogue greatly reduces drift of the dan buoy when it is deployed. 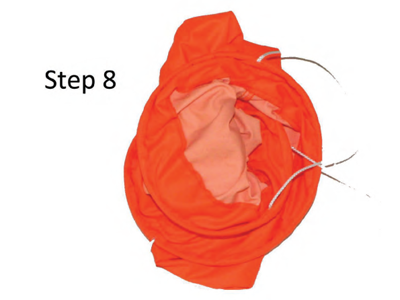 The wire around its widest circumference helps the drogue's mouth spring open. 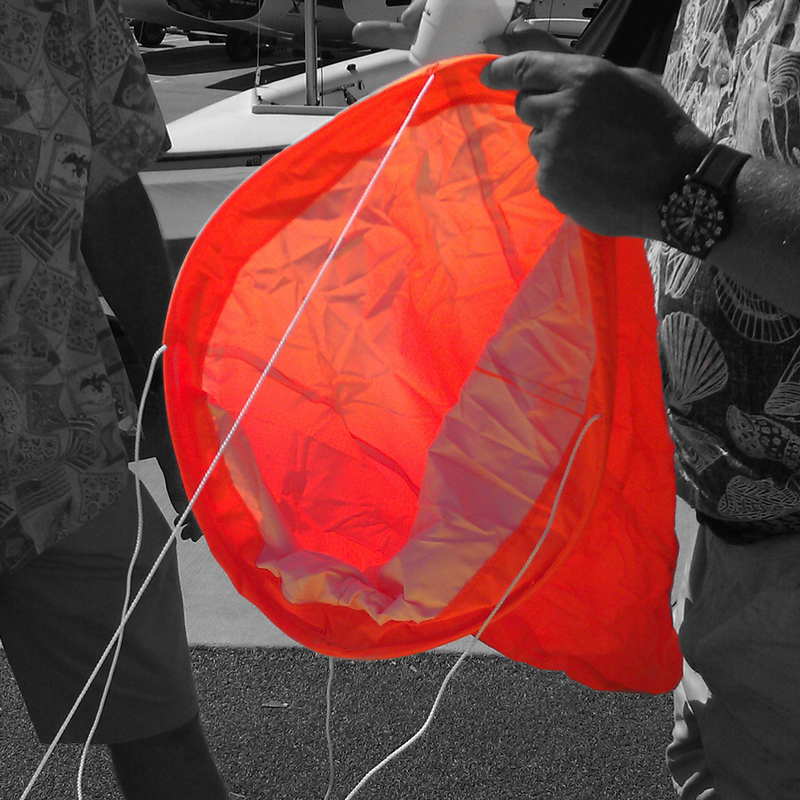 With a gentle twist, it can be made to coil upon itself so the sea anchor may be packed with the dan buoy. 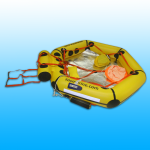 For complete dan buoy information, including a user manual with servicing instructions, click to the man overboard buoy page. 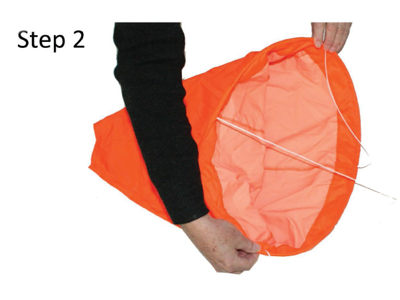 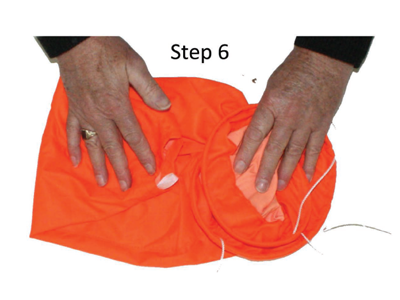 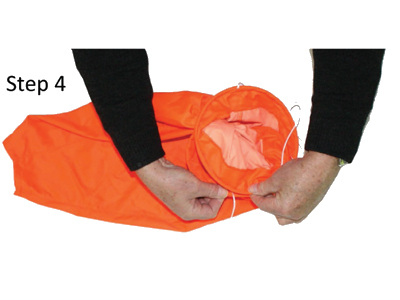 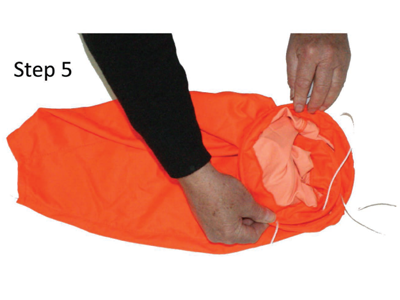 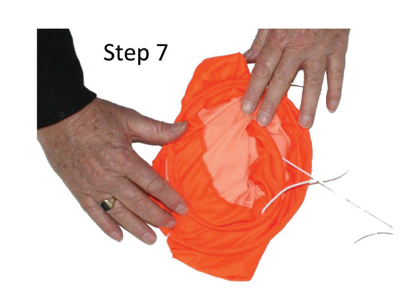 Manufacturer SOS Marine shows how to pack the drogue on pages 22-29 of the dan buoy repacking guide (or see below). 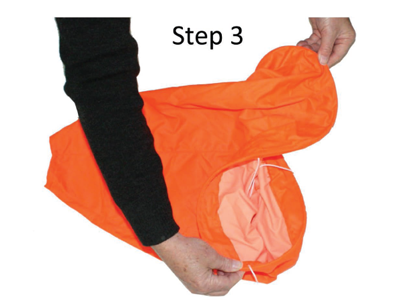 The drogue can be packed in eight steps illustrated below. 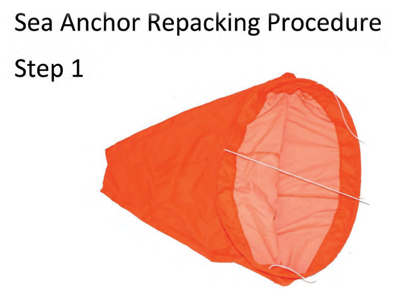 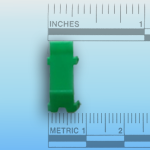 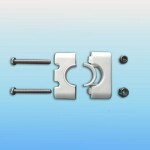 Images come from the dan buoy repacking guide (mentioned above).